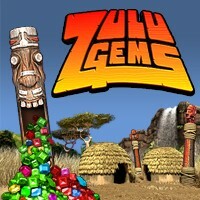 A bold and entertaining concept, expertly executed with style and flair - Zulu Gems is a very special game. Lose all sense of time as you venture into darkest African jungle in search of mythical relics and, ultimately, if you have the nerve, the legendary Zulu Gems themselves. You have been warned - this game is seriously addictive!